We’re already approaching the end of January and the mountain running full speed! Thanks to good snow accumulation since the beginning of the winter season, as well as unprecedented snow production, today we have 253 hectares of open ski area. 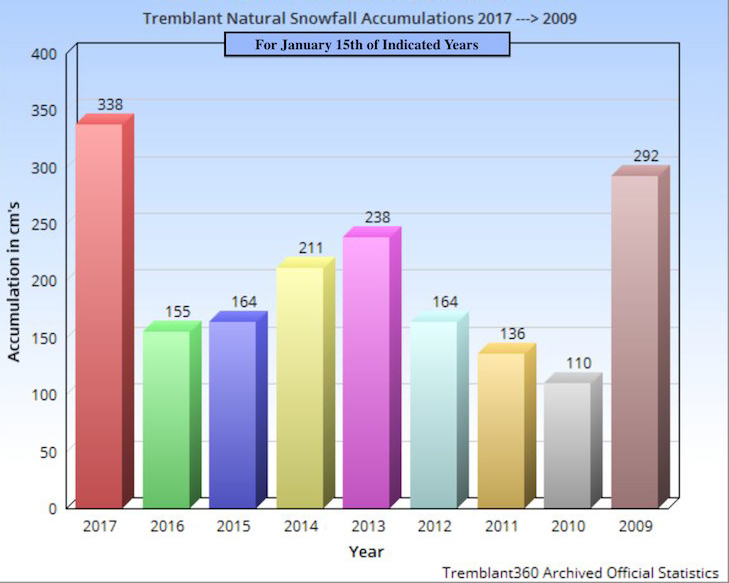 In fact, snow accumulation this season represents almost double the precipitation of the previous 8 seasons on January 15th. As the base is well established in the majority of the trails, snow making operations are slowly coming to an end. The goal now is to finish placing the snow and widening our trails in order to deliver the maximum amount of skiable terrain until spring. The conditions of the alpine touring trails are quite promising for the Festival Rando Alpine this weekend! 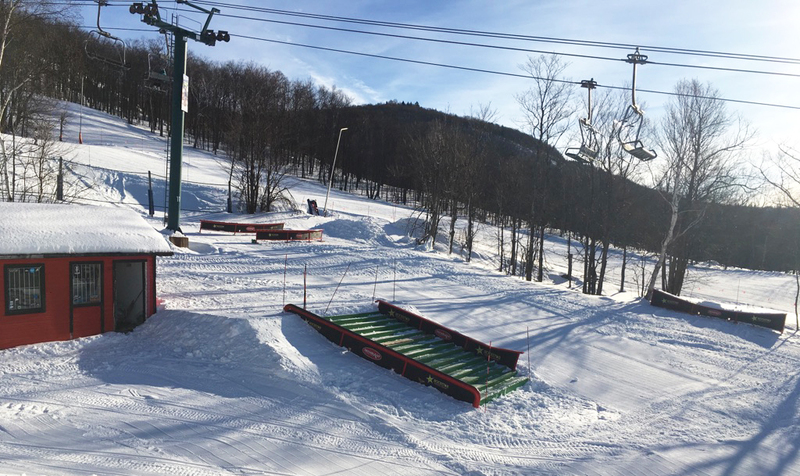 The 9 forest trails are open, as well as the 3 designated climbing areas on the ski slopes. The snow cover in the trails is good and the conditions remain more than decent, even after the small episodes of freezing rain. 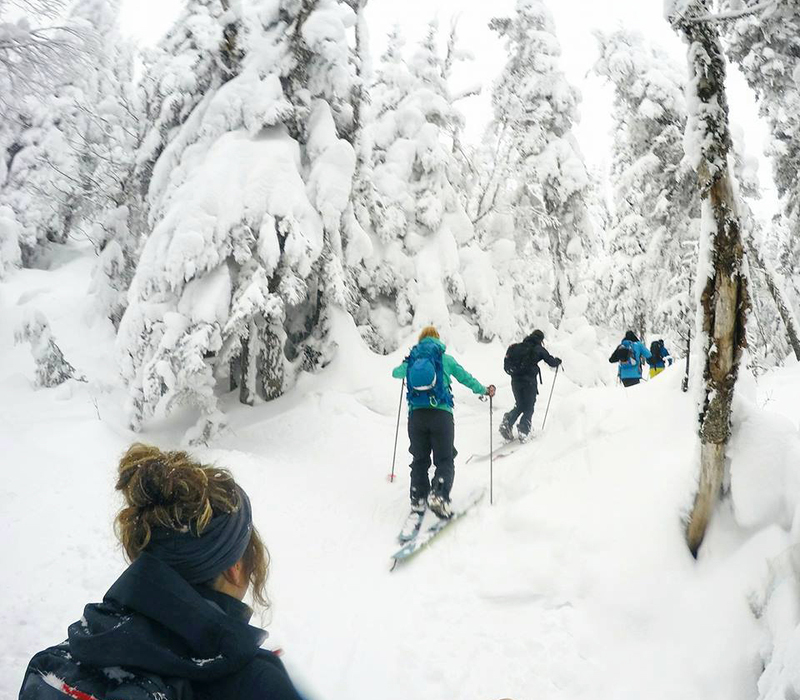 Presently, the snow surface is rather hardened in the bottom of the mountain, but the trees are still full of snow up top, offering that classic Tremblant panorama we love. Starting tomorrow, the 3 snow parks will be open with almost 95% of the modules installed and ready for skiers and snowboarders to ride. 10 park features are available in the Rope Tow trail on the north side, 7 in the Alpine Park on the south side and 30 in the Adrenaline Park on the Promenade and Curé Deslauriers trails. 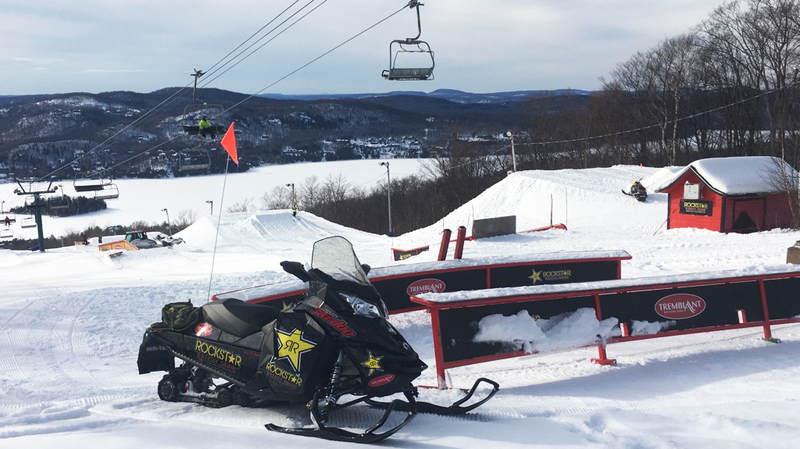 Among these 30 in our largest snow park, there are 7 jumps, the majority of which are large sized jumps. According to our snow park manager Simon Busque: “The park is sick! 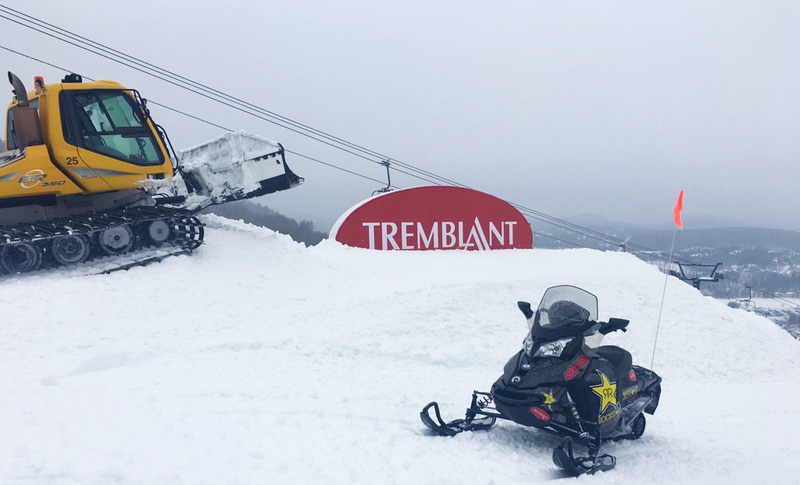 It’s going to be the most awesome Promenade that we’ve built in Tremblant.” Now accessible to everyone, no extra pass necessary, it’s time to come to come try it out for yourself!